I’ll eat parsley and asparagus (mostly because I know they’re really good for me), but can we please agree to keep parsley garnishes whole and not finely diced? Ok, great. And I’ll try any cheese once (especially when pressured by the French), but I assure you, I have tried Camembert like that one, and alas, still not my jam. But can we all be on board with mushrooms (or give ‘em a shot)? 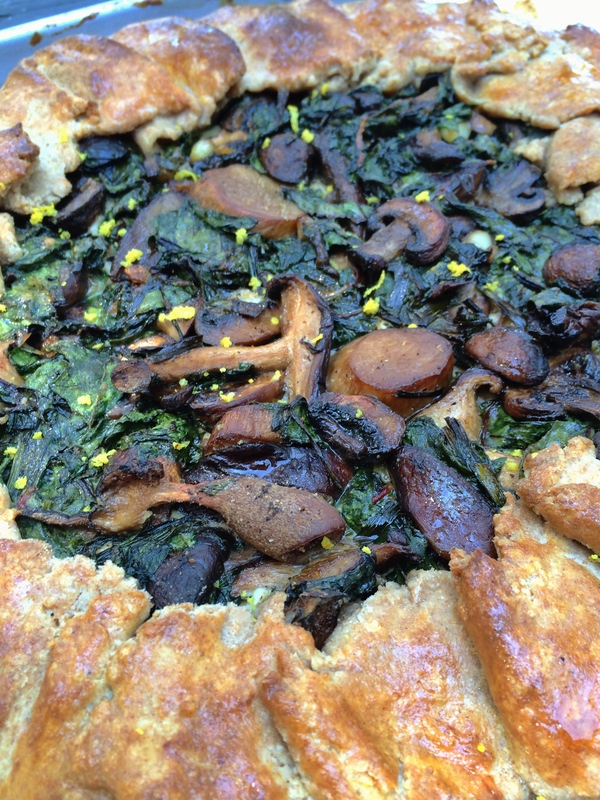 ‘Cause you’ve never had a mushroom dish like this. This is not a drill. Added bonus? 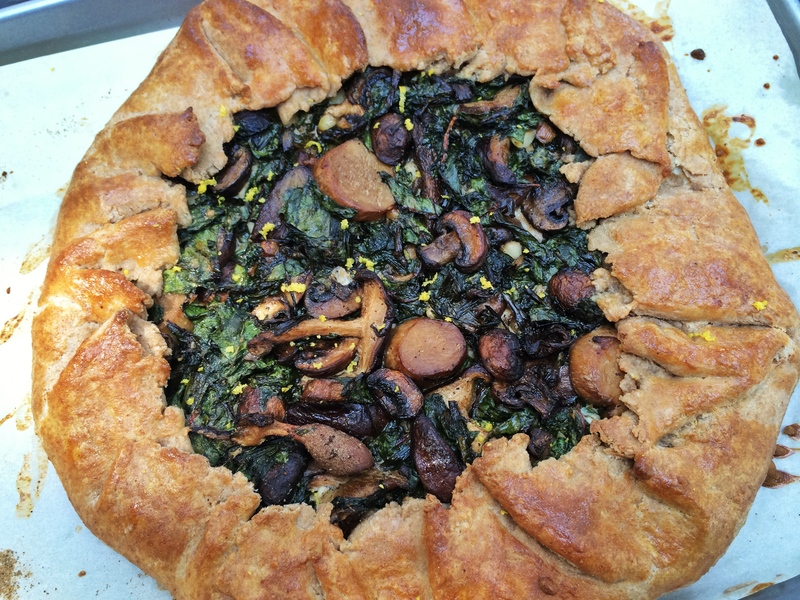 You get to sound fancy when you casually say you’ve whipped up a Mushroom Galette. 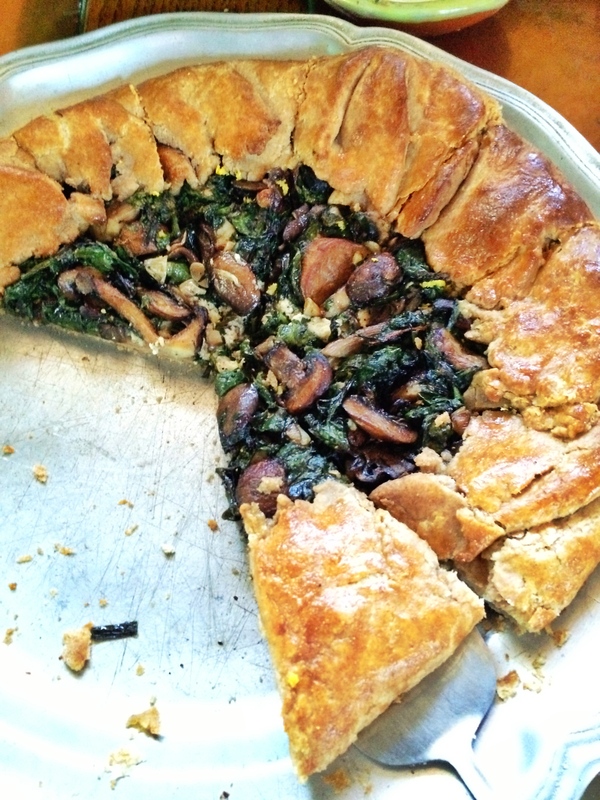 Galette…French just always sounds so elegant. “I’ll have the freeform savory pie”? No….I’ll have the galette s’il vous plaît. 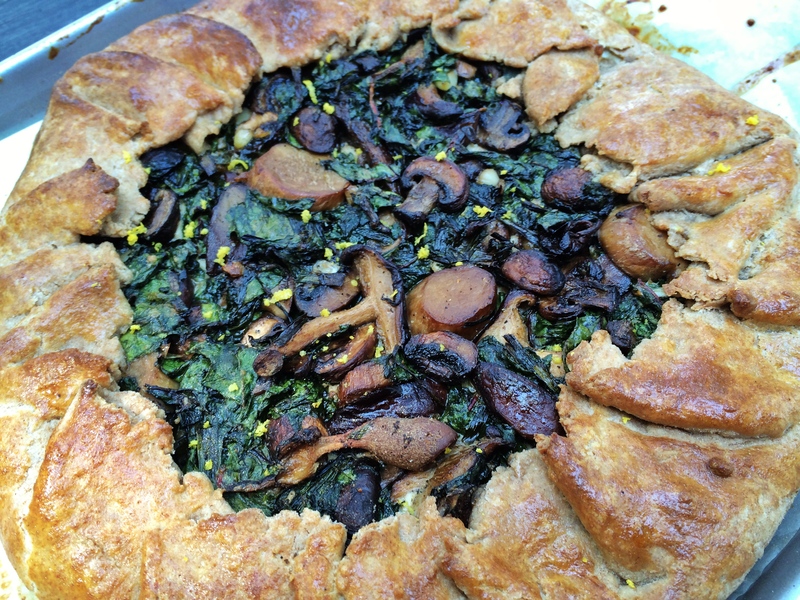 You could absolutely serve this Mushroom Chard Galette at a nice dinner party or an afternoon ladies luncheon, but hey, a random Tuesday night would be rad too. You do you. Mix together until it resembles a course meal with butter pieces the size of peas. Add more water if needed, and kneed lightly until there are no dry spots. Form into a ball. Wrap in plastic wrap and refrigerate for 1-2 hours. Cook, stirring occasionally, until golden brown and slightly crisp – about 8 minutes. Roll out dough on a floured surface to a round about ⅛” thick. Roll the dough onto your rolling pin to help you transfer it to a parchment-lined baking sheet. Bake the galette until the crust is golden brown, about 35-40 minutes. Enjoy as a side or main dish – sure to impress! Bonjour, excusez-moi, où est la bibliothèque? Hello, excuse me, where is the library ? The French phrase reminds me of this Community episode except they say it in Spanish. Looks awesome! I love mushrooms!